Our delectable menus include modern takes on both Caribbean and internationally inspired cuisine, and fresh seafood dishes abound. Pair with a selection from our inspired wine list or one of our fine handcrafted cocktails. 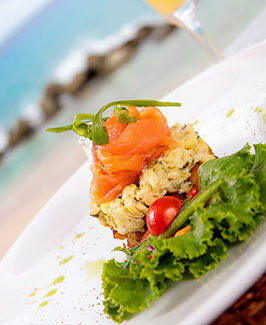 Breakfast at the Fish Pot Restaurant is one of Barbados’ best-kept secrets. Our menu features a range of delightful dishes to start the day: enjoy homemade breads and quiches, fresh tropical fruits and crunchy muesli, or indulge in one of our signature dishes such as grilled flying fish on olive ciabatta or a Fishy Affair, featuring smoked salmon, dill and caper scrambled eggs and garlic potatoes. 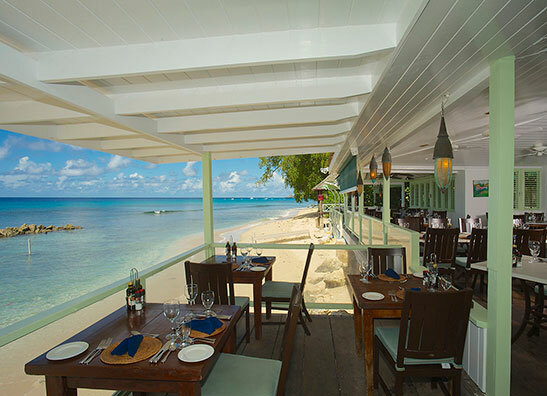 Join us for a seaside lunch paired with a rum punch served in a mason jar or glass of bubbles. The Fish Pot’s lunch menu features lighter fare ideal for that midday break from the sun, as well as Kasmiri-style curries and stir-fries. 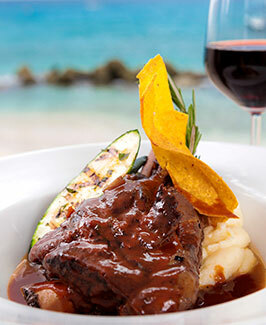 Menu standouts include the seafood antipasti platter, marinated flying fish panini and grilled Caribbean lobster. As the evening falls, start with a crisp glass of Chardonnay from Margaret River, followed by gourmet fusion fare crafted by our outstanding local chefs, and finish the evening with a delectable dessert and digestif. Noteworthy dinner selections include our grilled Octopus Salad and Ahi Tuna Poke, Chili and Herb Marinated Salmon and our Daily Catch of the Day. Our risotto receives rave reviews, including a recent feature on Gourmet.